Society for Welfare of the Handicapped is a pioneer in North India in the field of education for Children with special needs. This Society was established in 1967 and started Special School for the Blind and the Patiala Special School for the Deaf and Dumb, that have been providing crucial education and life skills training to those that need it most. No fees is charged from the students for tuition or hostel facility and everything is free of cost to them. 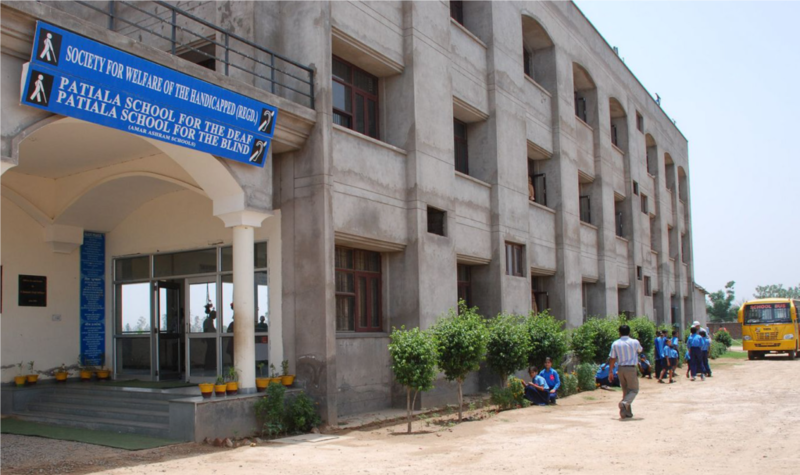 Over the years the school has become the most sought after special education facility for deaf and blind children in Punjab, Haryana and some of the neighboring states. The Patiala School for the Deaf, Patiala School for the Blind and Patiala School for the Deafblind are co-educational and residential. The students enrolled here vary from early intervention stage (Pre-nursery) to class 12th. There are about 350 students here and 280 of them are staying in the hostel. This is the only school for the blind in Punjab with a hostel for girls. There is a great demand for admission to these schools and to keep up with demand, Patiala School has begun a massive expansion, doubling capacity for both classrooms and hostel facilities. The school have the latest teaching aids and infrastructure for deaf and blind students. Patiala School also provides vocational training to the deaf and blind students, and helps them to earn a livelihood after the completion of the schooling and become productive members of the community. The schools take pride in molding these children with special needs- as “Service Providers-Not Service Seekers”. In 2014, Society for Welfare of the Handicapped was adjudged as the best NGO in India in child welfare activities. This organization is not in receipt of any government funding or corporate aid and depends on the support from private voluntary donations. The marginal cost of educating a student (including hostel expenses) is around INR 18,000 or approximately $ 270/ year. Funds are still needed for operational costs to continue offering free education to those in need. Please click on the link to learn more about the Society for Welfare of the Handicapped- Patiala School.